The beginners course in “English for tourism and hospitality” was held in Kurmety village in the period between May 10 and 30. The course was organized in the framework of the project “Biodiversity protection in the transboundary region “Northern Tien Shan Mountains” with the aim of developing guest houses network and educating local travel services providers. 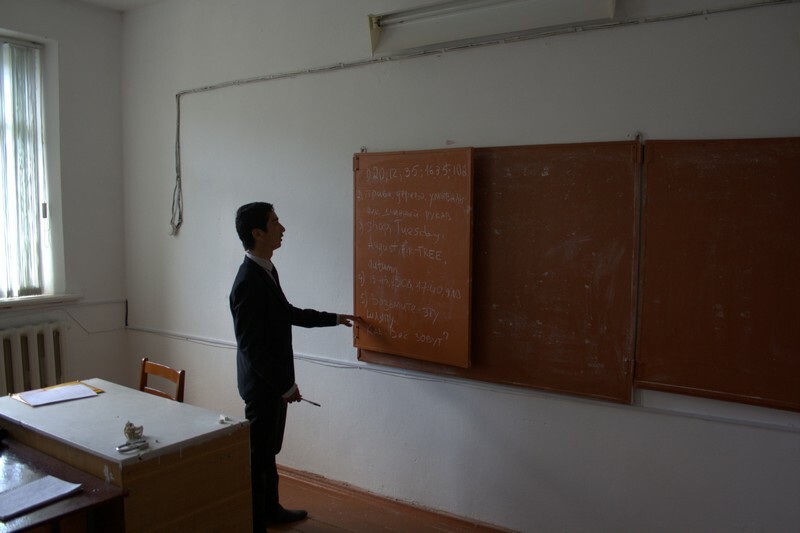 Language instruction was carried out in two formats: language classes were traditionally held at the premises of Niyazbekov secondary school, as well as on site (in guest houses) in the form of situational dialogues, with the help of which typical working situations were modelled. The course taught by Roman Skvortsov, an “Avalon” PF specialist, included 42 academic hours of lessons and aimed mainly at conversation skills development of course participants at the levels A1-A2 of the Common European Framework of Reference for Languages. The course participants were owners of seven guest houses located in Kurmety village who expressed their wish to work with tourists.